We are very excited to have Melinda and Joe's wedding featured in the WellWed Magazine's Real Weddings Blog! 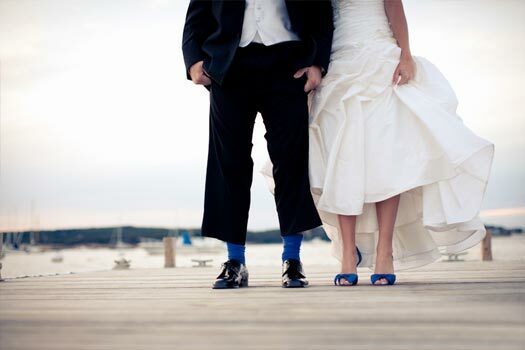 This was a beautiful Gloucester, MA summer wedding at the Eastern Point Yacht Club with great handmade details and a royal blue theme throughout. Check out the article from WellWed below and also our blogpost of this wedding with additional photographs.